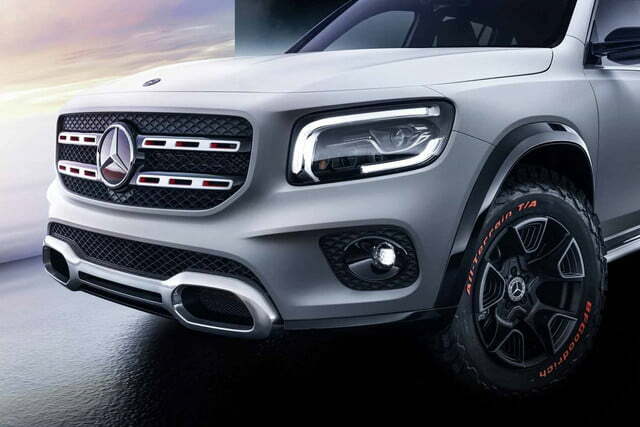 For years, we’ve heard rumors about a G-Class-inspired Mercedes-Benz crossover positioned between the GLA and the GLC. 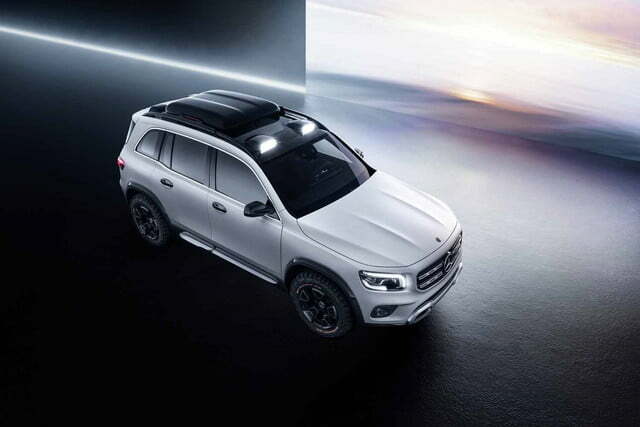 It finally materialized at the 2019 Shanghai Auto Show, where the German firm introduced a close-to-production concept named GLB. It’s merely a design study for the time being, but it will spawn a production model in the not-too-distant future. 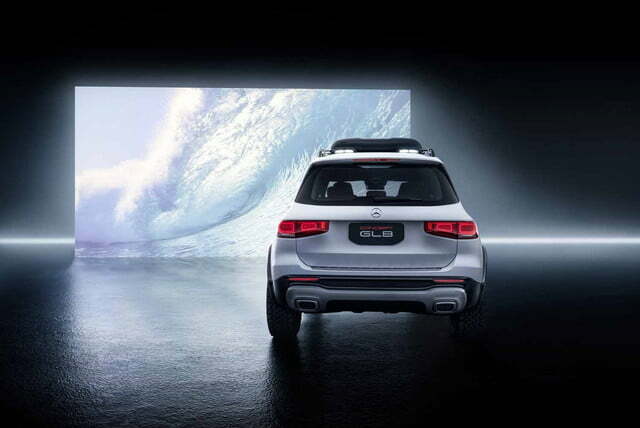 The GLB looks like a more rugged offshoot of the popular GLC. 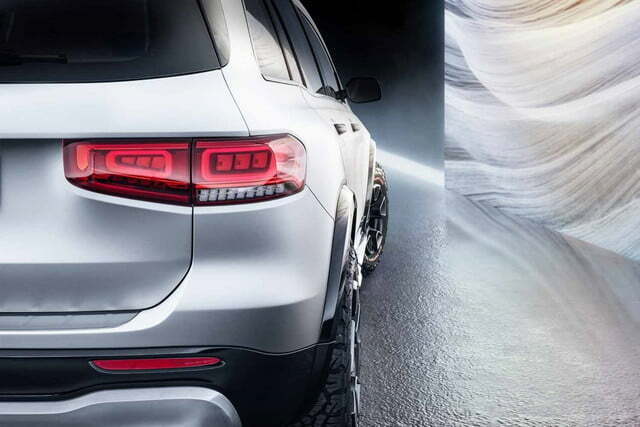 It’s an inch shorter than the GLC, almost exactly the same width, but nearly 11 inches taller. It wears a boxier design characterized by a more upright front end with rectangular headlights and an angular grille. 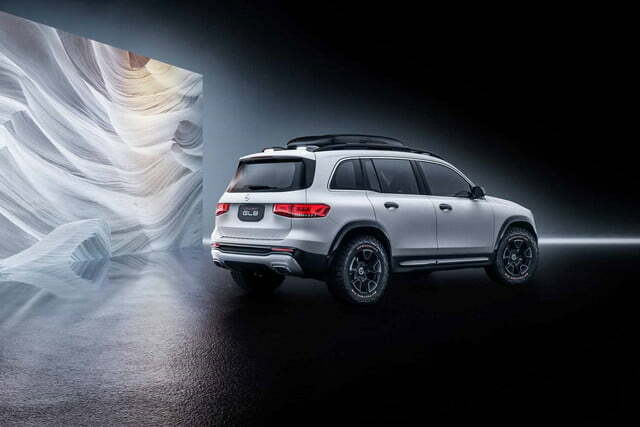 Its roof line has less of a slope than the GLC’s, a styling cue which clears up a generous amount of interior space while creating a visual link to the second-generation G-Class. 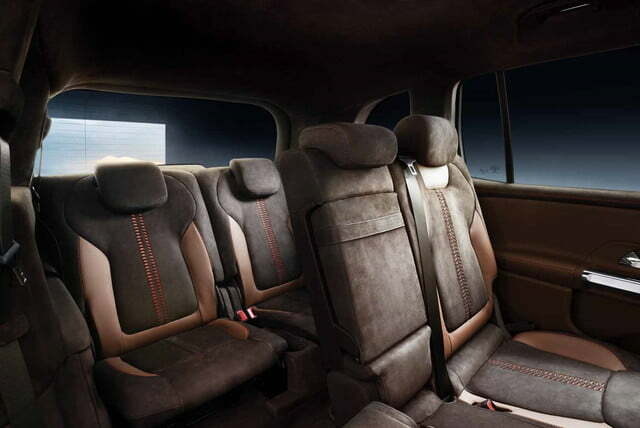 The taller greenhouse let designers carve out room for seven seats, and Mercedes promised two medium-sized occupants can comfortably fit in the third row. It hasn’t given us its definition of “medium-sized,” so your mileage may vary. 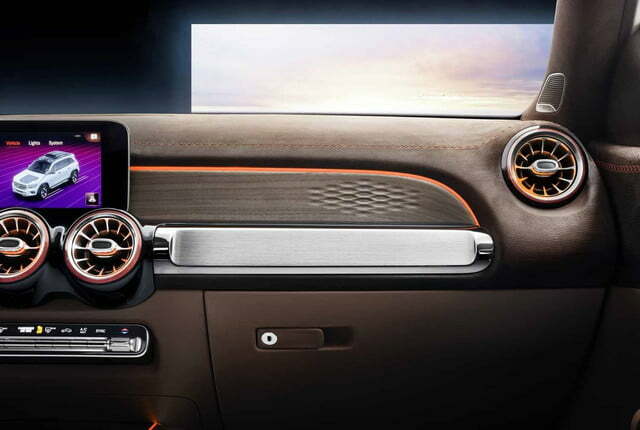 Up front, the dashboard is dominated by a wide, high-resolution screen that replaces the instrument cluster and the infotainment system’s display. The left side of it shows the driver key information about the car and its surroundings, like the speed and navigation directions. 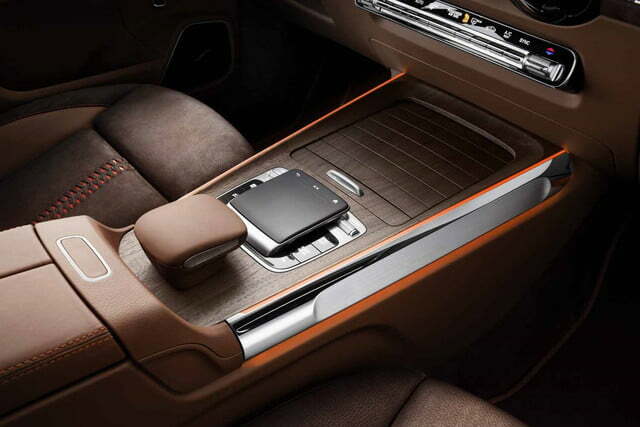 The right side of it displays the cutting-edge MBUX infotainment system that’s gradually spreading across the Mercedes portfolio. Open-pore walnut trim, gorgeous nubuck leather upholstery, and aluminum accents add an upscale touch to the overall design. The natural materials combine with the digital features to strike a pleasant balance between old-school craftsmanship and technology. 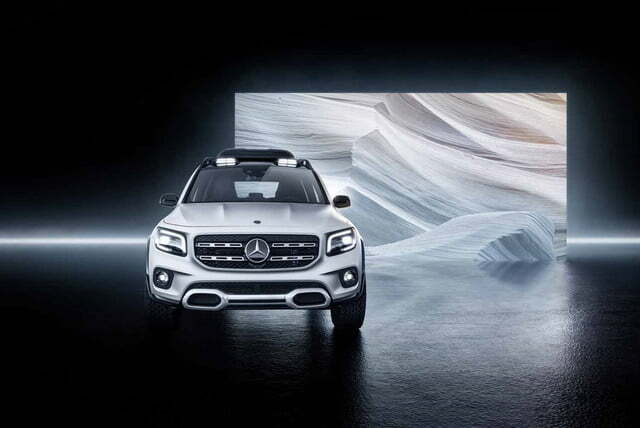 The biggest technical difference between the GLC and the GLB is found by peeling off the sheet metal. 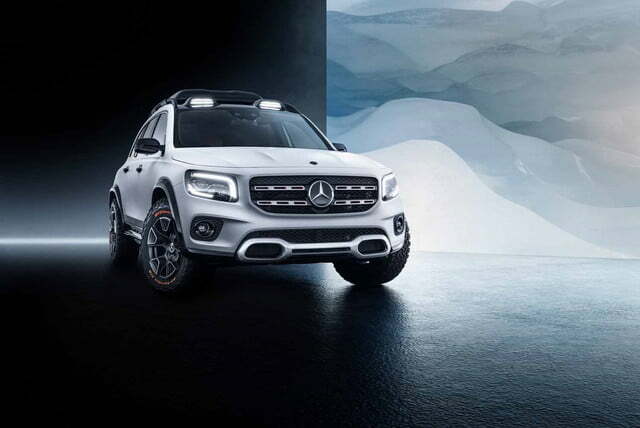 While the GLC is closely related to the C-Class, the GLB is built on the same modular platform as the GLA, the A-Class Sedan, and the CLA, among other compact models in the Mercedes family. 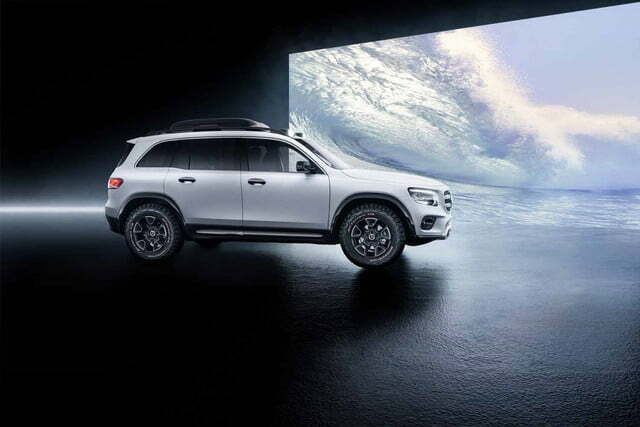 Power comes from a turbocharged, 2.0-liter, four-cylinder engine tuned to send 224 horsepower and 258 pound-feet of torque to the four wheels through an eight-speed, dual-clutch automatic transmission and Mercedes’ 4Matic all-wheel drive system. 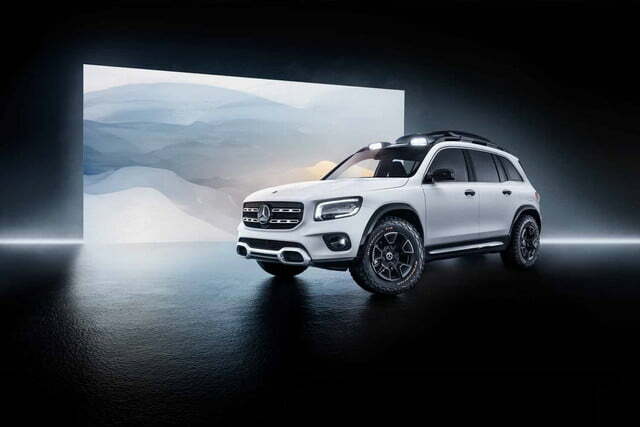 The Mercedes-Benz GLB is not just a concept; behind the scenes, it’s already well on its way to becoming a production model. We expect to see it in the metal before the end of 2019, and it will arrive in showrooms in time for the 2020 model year. When it lands, it will start in the vicinity of $35,000. It will compete in an increasingly crowded field of soft-roaders that also includes the Audi Q3, the BMW X1, and the Lexus NX. Updated April 15, 2019: Added full information about the GLB.